Are Hidden Fees Driving Up the Cost of Your Healthcare Coverage? Every once in a while, you come across an article you wish you would have read a decade or two earlier. Propublica's Behind the Scenes, Health Insurers Use Cash and Gifts to Sway Which Benefits Employers Choose by Marshall Allen is one of those articles. 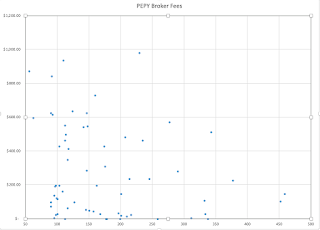 For years, I compared the commission our broker was paid to what others were paying. The fees usually ranged between three and six percent. What I didn't see was the additional bonuses insurers paid our broker. I finally looked at the 5500 filings of other associations and was able to see the picture more completely. I created this scatter plot to see how what we were paying really compared. 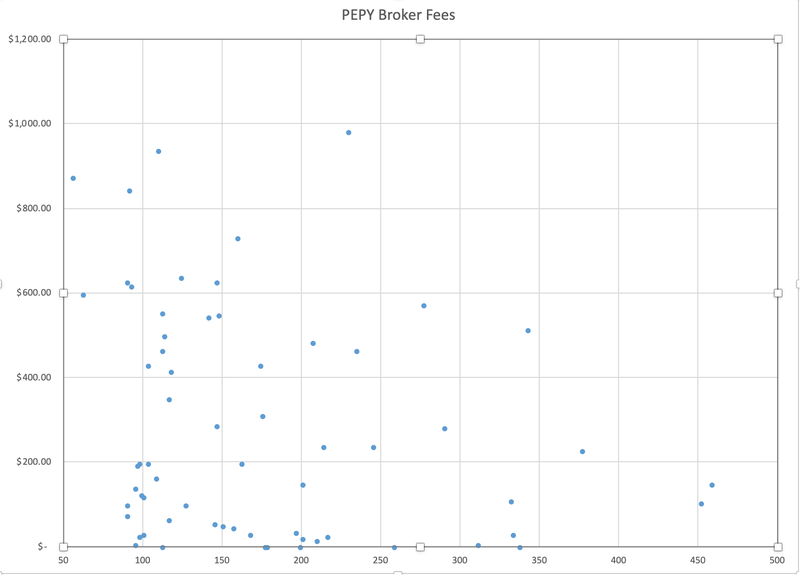 A quick look at this chart will show you how dramatically per employee per year broker fees varied among associations in the DC area in 2015. This caused us to make a change. We now work with Zack Pace at CBIZ. We pay Zack a monthly fee for his help and everything is transparent and above board. I've run into Dave Chase and David Contorno who were interviewed in this article at various meetings in the past year. It seems like the Health Rosetta movement is gaining steam which is good for all of us who have employer-provided health care coverage. Ask your HR team how your employer's advisors are paid.